I’m sure you’ll agree that all startups are keen to reduce unnecessary costs wherever possible. This makes the results of a recent You Gov survey all the more startling. YouGov conducted a unique and independent survey of the UK’s Small Medium Enterprises and found that these businesses are losing more than £13.6 billion a year by neglecting their legal needs. SMEs make up 99.9% of all private sector businesses in the UK, making this a hugely important issue for the success of UK business overall. 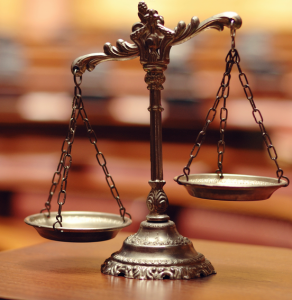 What are the potential legal risks to your startup? How can I reduce risks and save the business money for my startup? The key to sound legal cover for any startup is assessing legal needs from the outset and then seeking the appropriate legal support for the size of the business. Needs also change at different stages of the business growth cycle, with increased staff requirements, additional funding (perhaps obtaining a startup loan?) and any larger client requirements etc. There is also a need to ensure adequate protection is in place to safe guard intellectual property, trademarks and other key assets of the business. Prevention is always better for your startup…and much cheaper…than cure. businesses. It’s a simple, quick, online survey that identifies any areas where you are routinely losing money from commercial legal issues and helps you minimise your risk of future losses. At the end of the survey you get a free report clearly outlining areas of risk, as well as those that aren’t as much of a concern. The report will also compare your results to the survey respondents, giving some industry benchmarks and allowing you to get a feel of how you compare to other businesses. As an SME business owner in any industry, tackling legal issues properly (as well as guarding against them) could save you and your startups thousands of pounds a year. You’re far more likely to have a legal issue than any insurance claim (but you wouldn’t skip insurance cover) and the biggest (and most expensive) legal issues are often easily preventable, don’t get caught out. Take your free Legal Health Check here. All visitors from Startup Direct who complete the legal health check will be entitled to an exclusive free trail of free legal documents and legal advice consultations for 8 weeks, helping to keep your startup safe and sound. To redeem this special offer just remember to mention that you’ve come from Startup Direct when you’ve completed the health check and receive your results email!